Andrew Gould (alto/soprano/FX pedals); Steven Feifke (piano); Marco Panascia (bass); Jake Goldras (drums) + Scott Wendholt (trumpet on 2 tracks); Ioana Vintu (vocals on 1 track). Such is the mountain of CDs awaiting review that it is no longer feasible for me to listen to even one track off each. Instead, I play a few bars of the opening track and if it doesn't grab me right away it is shuffled down to the bottom of the pile where it will spend the rest of its days weeping and yearning for what might have been. I realise that by doing it this way I probably miss a few gems but, by the same token, nobody is going to put their least impressive track first so I probably, subjectively, don't miss much. No such problems arise here. From the opening bars of Feifke's intro, I knew I was on a winner. Gould's entry confirmed it. He can blow swing, he can funk it up or reach out into unchartered waters without a paddle. He doesn't need one, his inherent musicality will never let him down and nor will his crew who are with him every step of the way. 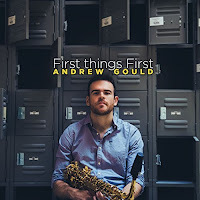 The addition of Scott Wendholt on 2 tracks makes for a fuller ensemble and the trumpet player is rightly acclaimed as one of the most lyrical players on the current New York scene and, like Gould, an in-demand player. Another guest is Ioana Vintu who adds substance to the sombre On a Darker Moon. 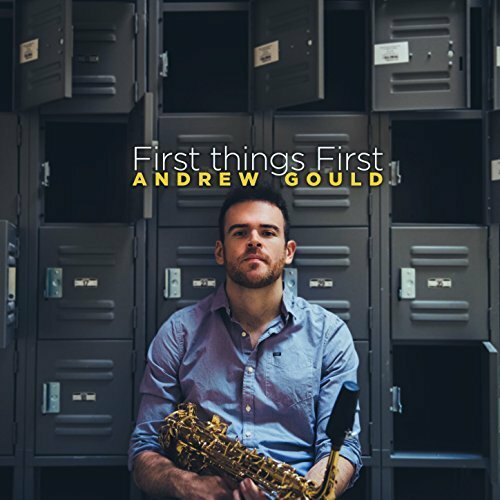 Piano, bass and drums never take their eye off the ball but the disc belongs to Andrew Gould for his virtuoso playing and his compositions. PS: Listening again, I should have made stronger mention of Feifke who is an absolute tower of strength. Think of Sonny Clark on some of those old Blue Notes and you'll get the idea.